Remember Danny the G(r)eek and his wide assortment of colorfully nerdy tattoos? 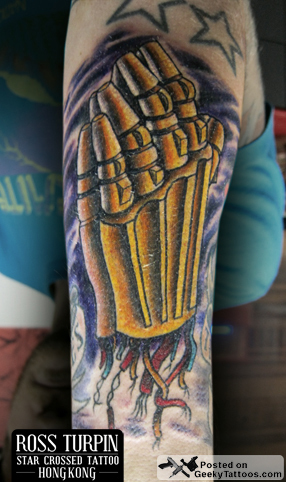 This time he’s added some C3PO hands into the mix! Posted in Movies, Star Wars, Tattoos. Tagged with C3PO, Ross Turpin, Star Wars.